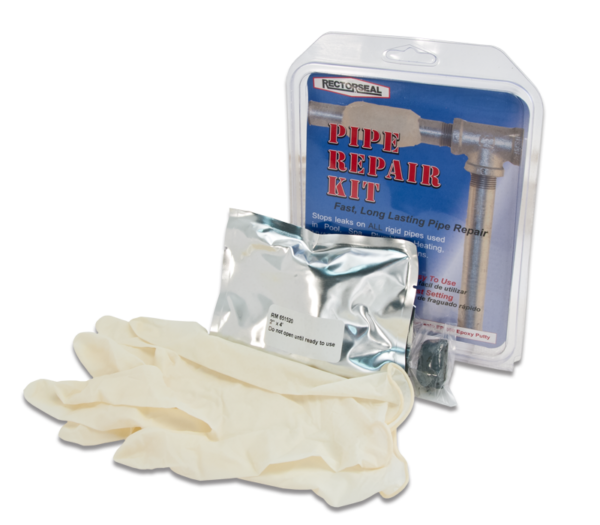 RectorSeal® Pipe Repair Kit is a fast, easy, durable and cost-effective pipe repair system. It consists of a 2″ x 4′ knitted fiberglass cloth coated with a water-activated Polyurethane resin that adheres to all metal, plastic, fiberglass, and concrete piping. 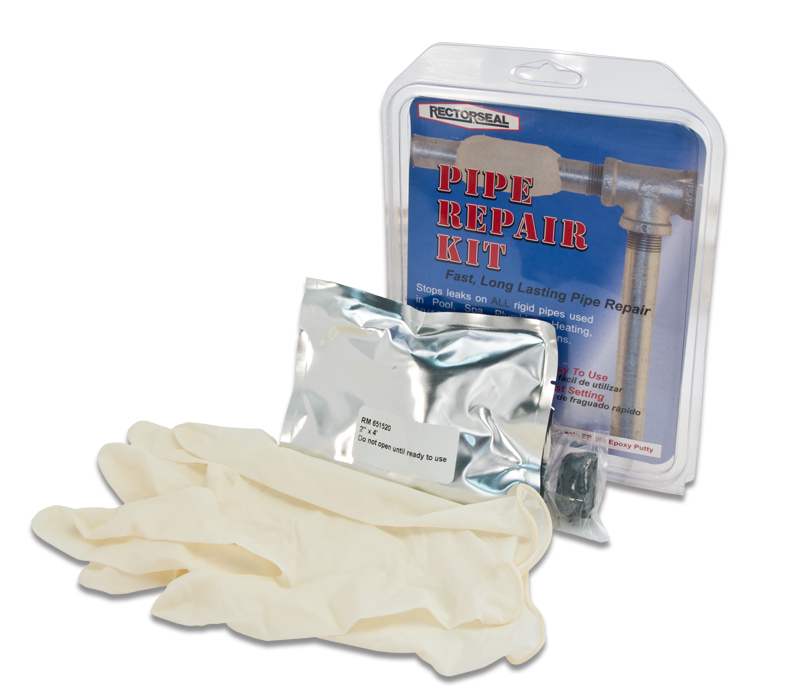 This repair system can withstand pressures up to 450 PSI when used with RectorSeal® EP 200 Epoxy Putty. Perfect for use in plumbing, pool, spa, irrigation and HVAC applications.